Back in 2008, I began what was a series of five moves over the coming three years. Three of the moves were local, and two cross-country. During this time, I learned a great deal about relocating – particularly how expensive it can be. I also learned quite a bit about how to save money when changing homes. While many expenses are unavoidable, there are plenty of ways to keep costs down by planning ahead, comparing prices, and rethinking your presumptions about your moving options and expenses. As soon as you know your new mailing address, visit USPS.com to set up mail forwarding. You can even indicate the exact day that you want them to start forwarding your mail. The longer you wait, the more likely you are to forget to change your address. This can lead to important mail being returned to its sender or, even worse, being opened or thrown out by the person who moves into your old home or inherits your former post office box. The Postal Service offers some pretty good hints and tips for moving on its site. You can get great information while setting up your forwarding address. Once you complete your address change, you will be able to request useful coupons and discounts via the Postal Service’s website. They’re Fast. If time is of concern to you, hiring professional movers makes a lot of sense. Friends and family may mean well, but in my experience, they can make a move take a lot longer than it needs to be. Pros know how to get people moved quickly and efficiently. They Show Up at the Same Time. It can be hard to get friends and family to coordinate their schedules. This means that you may have to settle for having your move completed in shifts. Again, this takes up time that you could use to work, unpack, or complete other projects. They Bring a Truck. Even if it’s a local move, they will bring a truck that is the right size for your move so you don’t waste time driving back and forth between your old and new homes. They Bring Tools. Movers will bring hand carts, hand tools, and other things that make moving easier – no more waiting around for your cousin to run to the hardware store to pick up a screwdriver so you can take apart your bookshelves. They Don’t Break as Many Things. Not only are professional movers more likely than amateurs to know how to protect your belongings during a move, you won’t have to deal with any post-move awkwardness if one of them does manage to drop your grandmother’s antique mirror. You Don’t Have to Feed Them. It is only polite to feed friends and family when they help you move. If your move takes place in stages, you’ll have to provide multiple meals. The cost of these meals adds up, so be sure to consider these courtesy meals when comparing the cost of professional movers to a DIY job. If you are very low on cash or you if you only have a few things to move, doing it yourself often makes sense. But if you have some budget flexibility and wish to save time and stress, it makes sense to employ professional movers. Moving costs add up. In many cases, the best way to keep these costs down is to plan your purchases in advance by shopping for sales, comparing quotes, and claiming freebies (such as moving boxes) from work or friends. If your move is related to a job relocation, you may even be able to deduct moving expenses on your taxes. You never know how much stuff you have until you start to pack. When moving – especially for long distances – secure packing can often make a significant difference in the condition of your possessions once they reach your destination, so make sure that you have enough boxes, tape, and bubble wrap on hand. Collect Packing Materials. Start collecting packing materials as soon as possible. Ask for old boxes at work (some companies have special policies about taking boxes or used packing materials home, so be sure to ask your supervisor before you start grabbing boxes) and ask friends and neighbors for their boxes, old milk crates, and packing materials. Reduce/Recycle. Moving is a great time to unload stuff that you seldom or never use. Begin your move by sorting through your belongings. A garage sale can earn you some needed cash to help with your move while simultaneously eliminating the time and hassle of moving unwanted items. Efficient, professional movers can significantly cut the amount of time that a move takes while also safeguarding your belongings. Still, they cost money – and moving services aren’t always cheap. You can save money by hiring a firm with a reputation for being quick and efficient, and that takes steps beforehand to make it easier for your movers to do their job. Do Your Research. Get online and start researching the moving companies in your area. Yelp, the Better Business Bureau, and Angie’s List are great sources of information. Get Multiple Bids. Ask for bids from at least three companies so you can compare rates. Hire for Speed. For a short-distance move, your moving company will typically charge you by the hour. Unfortunately, some unscrupulous movers take advantage of their customers by dragging their feet while moving your things. When comparing reviews on consumer reporting sites, pay particular attention to what former clients have to say about the speed of a company’s movers. Start Packing Early. If you are still shoving your belongings into boxes when the movers show up, your move is going to take a lot longer. Allow yourself a lot of time for packing. DIY What You Can, When Convenient. If you are going to be following your moving van across town, stock up your car with as much easy-to-move stuff as possible. Garbage bags full of clothes, towels, and bed linens are usually easy enough to carry, and you generally don’t have to worry about damage. If you live close to your new house or apartment and can get the keys to your new place before your official move date, try moving over a carload or two whenever you have spare time. You may be able to shave an hour or more off your moving times. Ask for Tips. Professional movers know how to quickly and safely move household belongings, so be sure to ask for advice. My movers offered a slew of time-saving tips, including advice about how to properly cushion and shrink-wrap furniture, lamps, and accessories. When possible, disassemble lamps (i.e. remove the lampshades, unscrew the light bulbs, and pack them in a separate box), bed frames, and other items before your movers show up. Remove Roadblocks. If you have a lot of big, bulky furniture, make sure that it can actually fit through the doors and halls in both your old and new homes. Take some measurements, and if you suspect that it will be a tight fit, remove the doors ahead of time, if possible. If you are moving out of a shared space, use brightly colored painters tape to mark which items need to be moved so that you aren’t constantly fielding questions from movers. This will shave time off the move and reduce both your costs and everyone’s frustration level. Get Parking Permits. Your move is going to take a lot longer if the movers have to park down the block and around the corner. If your new place doesn’t have a private driveway, talk to the building manager or landlord about your options before moving day. You may be able to get permission for the movers to park in a loading zone, management parking space, or in a “permit required” street area while they carry your boxes in to your new home. Consider Insurance. In many places, your mover’s liability for the damage or loss of your property may be very limited. According to the U.S. Department of Transportation’s Federal Motor Safety Administration, your mover’s liability for your possessions is, at most, $0.60 per pound, per item. However, you have the option of purchasing better coverage through your mover, so be sure to ask about your options. If you choose to move yourself, you will likely need to rent a truck. However, if your move is temporary, or you have more belongings than space, a storage unit may also be necessary. As with hiring a moving company, it often pays to do some research into a company’s reputation, as well as its prices. If You Purchased Your New Home, Talk to Your Real Estate Agent. Some real estate agencies have their own truck that you can use free of charge to complete a short-distance move. Ask your real estate agent if this service is provided. Moving Truck Rental. Make sure that you rent a moving truck that can safely accommodate your belongings. While you don’t want to rent a truck that is larger than you feel comfortable driving, renting a tiny vehicle and making multiple trips will cost you a great deal in gas money and will slow down your move. Storage Unit Rental. If you have to keep your things in storage for awhile, shop around for off-site storage services. These companies often advertise online deals (such as one month’s storage for $1) that can save you a lot of money, particularly if you only need short-term storage services. Look for Combo Deals. Some storage unit companies also offer moving truck and van rental along with storage space. Ask about this option and compare costs. If your move is a short one, you can easily pack up your cleaning supplies and throw your food into a cooler before driving to your new home. But this won’t work if you are making a long-distance move, so prepare to pay to restock your pantry, refrigerator, and cabinets. Visit a Dollar Store. If you are on a lean budget, dollar stores can be a lifesaver. While I’m not always crazy about the quality of the products available at dollar stores, many items – such as cleaning supplies – should tide you over until you can afford to purchase their brand name counterparts. Check Out Secondhand Stores. Thrift stores can be a goldmine for those who have recently relocated. Like dollar stores, the prices at secondhand shops can’t be beat, and you may even be able to pick up dishes, kitchenware, and other household items. Even if you aren’t crazy about the selection at your local thrift store, you can usually find some serviceable items that you can re-donate at a later time. Scour Craigslist and Freecycle. Many folks give away household goods to anyone who will take the time and trouble to pick them up. Do this before you return your rental truck so that you can pick up large items. Clip Those Coupons. In addition to coupons for national brands found in newspaper circulars, check online for coupon offers as well. Many coupon sites let you enter the zip code of your new residence so that you can find offers exclusive to your area. Having coupons already printed out and in-hand (particularly if you have to wait a few days for your Internet service to be set up) can make your first grocery shopping expeditions less costly. Getting your utilities, cable, and Internet service set up costs both time and money. Depending on your credit score, you may be asked to make a deposit or a prepayment on a utility, so keep this in mind when planning your moving budget, as multiple deposit charges can really take a toll on your budget. If you set up your utilities ahead of time, either by phone or over the Internet, you may be given a confirmation number for either your service request or deposit/prepayment. Keep a copy of these numbers handy during your move in case you need to refer to them while getting your utilities turned on or resolving a customer service problem. It is also a good idea to add the phone numbers of your utility companies, along with your building manager, to your cell phone before moving day. Get a List. 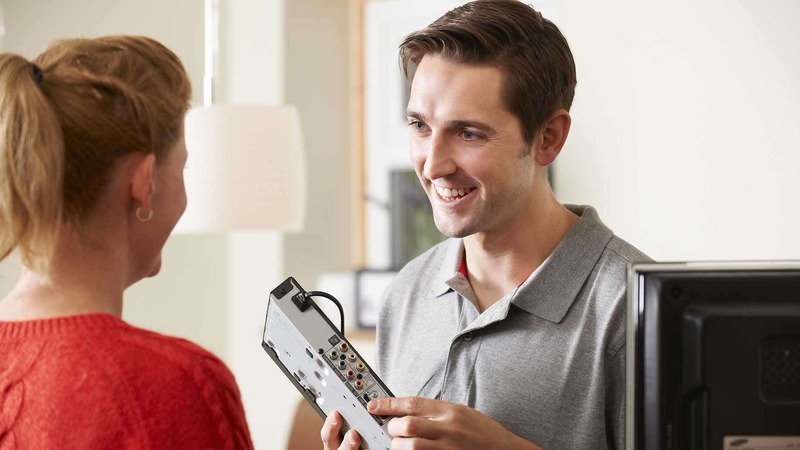 When you rent or buy a place, ask your landlord, property manager, or real estate agent for a list of the utility, cable, and Internet companies that service your home. In many cases, you can set up these services online, though you may need to speak to a customer service representative to make arrangements for installation or to get questions answered. Be Flexible. If the service technician does not show up on time – or at all – you may need to take extra time off from work to wait around. If you live by yourself or there isn’t another adult in your household who can wait for an installer to arrive, think about moving a few days before starting a new job so that you won’t have to rearrange your work schedule if your first appointment falls through. Look for Specials. Cable, phone, and Internet companies often offer package deals on their services, some of which can save you serious money. Local newspapers often run ads for special promotions as well, so pick up a paper to see if you can save even more money by taking advantage of a special discount. When you get into your new home, you may find that while it is structurally sound, it requires a bit of sprucing up. You’ll need to get to work quickly to ensure that your new home is livable. If you don’t have your tools handy – or if you have a particularly intense repair job that’s going to require special equipment and supplies – you’ll likely need to make a trip to the hardware store. Check Craigslist and Freecycle. By checking Craigslist and Freecycle, you may find that there is someone in your new neighborhood who is giving away extra paint, flooring, countertops, or cabinets for free. Use Those Coupons. 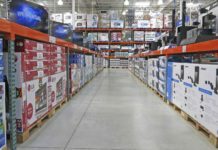 Both Home Depot and Lowe’s offer special coupons for people who are moving. Just visit their website to sign up, and remember to check those offers from the USPS as well. Talk to Your Neighbors. If you find that your home needs a repair that you can’t do on your own, talk to your neighbors. They can be a good source of information regarding local handymen or contractors who can make major repairs. Just be sure to cross-check their recommendations on consumer advocacy sites and, when possible, get multiple estimates before making a commitment. If you don’t have a great deal of possessions and are about to make a long-distance move, look into shipping some or all of your belongings, particularly if you plan to fly out to your new home or aren’t comfortable driving a rental truck across the country. Shipping rates through the United States Postal Service – particularly its media mail and parcel post services – are reasonable and may cost less than a truck rental or hiring a long-distance moving company. The post office’s site at USPS.com is very easy to use, and guides you step-by-step in measuring, weighing, and determining postage costs for your packages. You can even arrange for free or low-cost pickup of your packages through the website, saving you a trip to the post office. If shipping your items, only use brand new cardboard boxes. While old boxes can work well for short-distance moves, they can prove to be too flimsy for long-distance transit. Don’t take any chances, and protect your belongings with new, sturdy boxes. In addition to the cash outlay for movers, truck rentals, and restocking household supplies, you – and possibly your family – will likely need to take time off from work, school, and other activities. 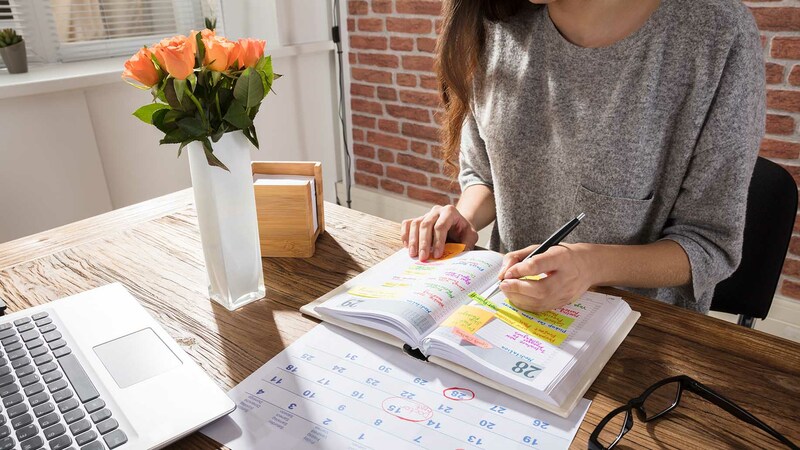 This can be difficult even if your job provides you with paid time off – it always hurts to spend vacation time on “chores.” If you are self-employed and work from home, though, a move can temporarily wreck havoc on your finances if you don’t manage your relocation well. Plan Far in Advance. Planning ahead is always essential when moving, but allow yourself an extra month or two if you run your own business. This will give you the time you need to notify clients, conserve funds, and make arrangements for a fast, efficient move that will allow you to quickly get up and running once your move is complete. Contact Clients. Letting your clients know about your relocation before you move serves multiple purposes. First, it gives you the opportunity to touch base with your entire client list, allowing you to reconnect with old clients that you haven’t worked with in a while. Your message may motivate them to hire you. It also notifies steady clients that you may have some downtime, allowing them to better plan their own business activities. Be sure to provide clients with information on how to contact you during your transition. Protect Your Nest Egg. The time surrounding your move is not the time to make big purchases. With all the expenses involved, plus the time you may miss from work, you will want to minimize spending as much as possible. Furthermore, if you run into any major problems, including those that would force you to relocate a second time after making your move, you’ll really need extra cash. Make sure that you have enough savings to cover at least one month’s expenses. Protect Your Tools. Be particularly careful with your “tools of the trade” while moving. Make sure that they are well packed; if possible, move them yourself to ensure they are given special care to prevent loss or damage. Find an Alternative Internet Source. Many self-employed people rely heavily on the Internet. If you are worried about getting Internet set up in your new home, look into connectivity alternatives in your new neighborhood. Identify coffee shops, public libraries, and other locations with WiFi before you get into town. This way, if you need Internet quickly, you won’t have to waste time searching for a place that offers it. Other options include getting a USB modem that you can use to sign onto a pay-as-you-go wireless service. This will allow you to get online anywhere, at any time. Prioritize Getting Your Home Office Set Up. Even if the rest of your home is in a state of chaos, get your workspace set up as quickly as possible. You’ll be better able to focus and get down to earning an income if you have a clean and organized home office. Moving from one home to another can be an exciting and extremely happy time in your life. Regardless, stress and major expenses are usually part of the experience, no matter how wonderful otherwise. But by paying special attention to the financial aspects of moving and taking simple steps to reduce the costs, you’ll significantly lower this stress. This will make your transition to a new home and community easier for yourself and your family. For those of you who have experienced a move, what are some of your tips for reducing costs and stress? Lainie Petersen holds master's degrees in Library and Information Science, Theological Studies, and Divinity, and spent five years working in regulatory compliance for a major education publisher. A lifetime Chicagoian, she recently spent almost a year living in the woods of Southern Oregon before deciding to head back home to her family and friends.